Can The Carrera Kraken Mountain Bike Live Up To Its Reputation As A Great Value Bike? For anyone that wants a simple, speedy bike with great on-road and off-road capabilities, the Carrera Kraken Mountain Bike is definitely worth a look. 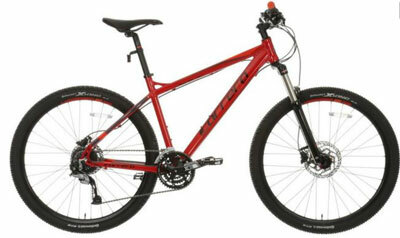 This is a lightweight, convenient bike with its 7005 T6 alloy frame, hydraulic fork and 26 inch wheels. It claims to be able to perform to a high standard because of the hydraulic Clarks SX model disc brakes and tyres from Continental Mountain King.